The odious, hurtful and racist comments uttered by Donald Sterling, owner of the Los Angeles Clippers, warranted the immediate action taken by the National Basketball Association (NBA). NBA Commissioner Adam Silver banned Donald Sterling for life from the NBA. He cannot have any association with the Los Angeles Clippers and the NBA, and he’s not allowed to attend any NBA games. Silver gave Sterling the highest fine possible, and Silver has vowed to do all that he can do to have Sterling voted out as owner of the Clippers. The Clippers’ players have cleverly protested the hateful remarks of their racist owner, and several businesses and sponsors have withdrawn their associations with Sterling and the Clippers. NBA fans and the American people in general have expressed their great outrage in response to the racist comments made by Sterling. The collective response to the Sterling case offers a promising window of opportunity to move us closer to making those who choose to be racists suffer tremendous economic losses, bankrupting them if possible. Donald Sterling is a horrible human being, and the things he said evince that he has a slave master mentality. If Black people and other minorities are going to weaken the power of racism, then they must use a case like the Donald Sterling case in subversive ways to launch potent attacks on the enduring post-slavery racism and remaining vestiges of Jim Crow that are deep and powerful parts of the American political, economic and social system. Without the collective outrage of minorities and Whites conveyed throughout the country in response to Sterling, the likelihood of Commissioner Silver rendering the decision he did yesterday would have been slim to none. Although many people want to characterize the vociferous groundswell of national opposition to Sterling as insufficient, and many have harshly criticized the Clippers’ players for not doing enough to protest Sterling’s racism, these critics fail to see the strong utopian energies at work in the collective response to Sterling. Before Mr. Silver’s decision, the collective response to Sterling was primarily communicated through words only. The verbal outrage divulged by numerous Americans across the nation and NBA players, including the Clippers’ players, served robust and important functions: it made racism even less desirable and it placed intense pressure on Mr. Silver to reach the type of decision he did. This collective outrage primarily communicated through words must transition to a collective language of resistance that then materializes into impactful collective action. Those who highly oppose racism need to use Donald Sterling as a symbol of fear for current racists and those who will choose to be racists in the future about what can happen to them. 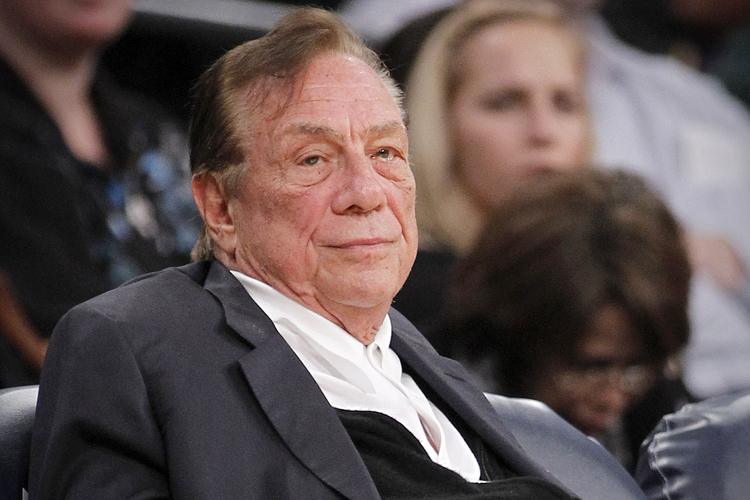 Although Donald Sterling will remain an incredibly rich man even if the NBA’s Board of Governors votes to force him to sell the Clippers, a resounding message will be disseminated to other racists: you may pay a prohibitive political, social and economic price for your racism that could inevitably lead you to being bankrupt. NBA fans and the American people in general must place significant pressure on the NBA’s Board of Governors to mandate that Sterling sell the Clippers. There must be a willingness by NBA fans to boycott NBA games, team and league sponsors and businesses that support the league and its teams if the Board of Governors does not vote out Sterling. This message must be communicated to the Board of Governors in various ways, including through social media, television, radio, newspapers, letters, protest rallies across the nation, and etc. The Clippers’ players need to involve themselves actively in influencing the decision of the Board of Governors. Players from all other NBA teams and from across all teams in other sports need to demand that the Board of Governors vote out Sterling. The members of the Board of Governors love money and NBA fans, as consumers, have to use their money as a weapon against the members of the Board of Governors and their strategic interests. Again, Sterling will be a very rich man no matter what the members of the Board of Governors decide, considering he made a highly lucrative and clever investment in the Clippers and made many auspicious investments in the real estate industry. The Board of Governors can, however, discontinue his ability to increase his wealth through his ownership of the Clippers and greatly diminish his power and prestige in the real estate industry and other industries he may attempt to pursue. He will no longer be able to increase his wealth from the labor of Black male bodies in the NBA. Sterling’s personal use of plantation ideology in the NBA will be extinguished. When we are able to expose other racists in the same or similar ways as Sterling was, we should make every effort to cause them to face bankruptcy. If you want to cause a serious decrease in the power and prevalence of racism in America, then you must significantly reduce the economic and social incentives of it. Let’s not become so consumed in discourses specifically about Donald Sterling and the venom he spewed out of his corroded mouth; let’s use his case to inaugurate a new movement against racism. Bankrupting racists must become a grand political strategy employed by individuals of all political persuasions and ideologies. He should be drawn and quartered. Placing a fourth in each corner of this country. Thank you for you comment. However, would you provide a little more clarity about what you mean?